I really enjoyed this Robert Langdon thriller from Dan Brown. The mystical/dark arts side of the book harks back to Dennis Wheatley and if that isn’t your genre it’s necessary to suspend dis-belief – but it’s a good book even despite that. In this latest adventure, Robert Langdon is involved in the world of Free-Masonry. As ever, he’s called on to use his knowledge of the arts and symbology to solve a number of puzzles. In this book, though, I found Langdon a more sympathetic character – half the time, he didn’t have a clue what was going on and this time he was singled out for abuse as much as the other victims. 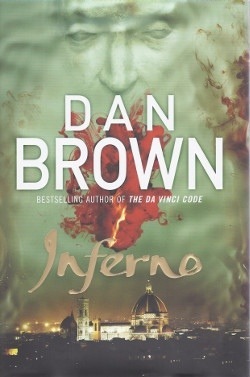 This is another in Dan Brown’s series of Robert Langdon escapades, and follows the usual formula. There’s a brilliant, female co-conspirator who seems to cast aside all her initiative and insight on meeting Langdon, becoming merely a foil for Langdon to show off his knowledge of history of art and symbology. And there’s a peculiar, driven assassin – in Da Vinci code it was an albino monk, here it’s a blond biker with spiky hair, but the character is largely the same. Dan Brown’s books frustrate me greatly – there’s no doubt that the formula is successful and this book is a real page-turner – but there’s no depth to it. As an example, take Robert Langdon. We’re told he always wears the Harris Tweed jackets and the same make of shoe, has done for 20 years. As a wearer of Berghaus outdoor pursuits equipment, I respect that. Yet within minutes of trying an Italian suit and shoes (surely a case of product placement by the company, Brown mentions the maker so many times for no good reason) he makes a mental note to buy the new brand in the future. What?! So much for brand loyalty.